If you’ve ever felt a twinge in your knee each time you bent it or took a step, you know just how agonizing and debilitating knee pain can be. While some of us experience this sensation briefly after overexerting ourselves or banging our leg, others deal with this incapacitating ache on a regular basis. 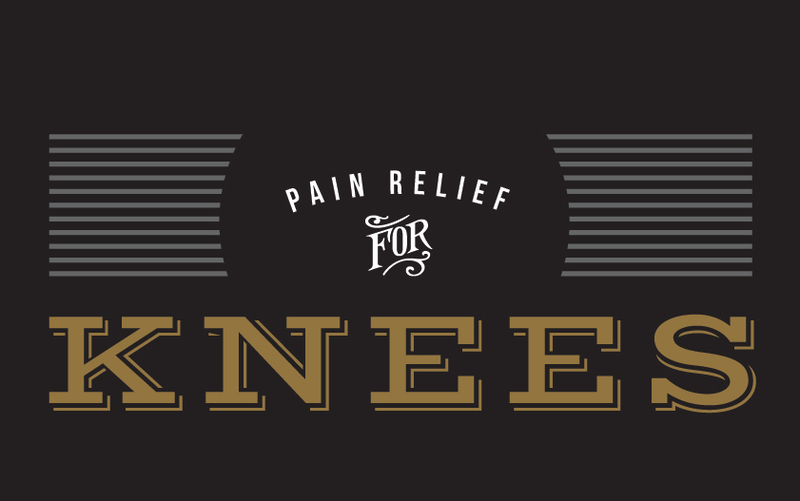 Before we get to how cannabis can relieve knee pain, let’s look at the cause and usual treatment for this ailment. Knee pain can be caused by many different conditions, both temporary and long-lasting. Agonizing pain is felt by individuals with joint diseases such as rheumatoid or osteoarthritis, gout, or bone tumors. Injuries like torn ligaments, meniscus tears, dislocation, and bursitis (inflammation of the fluid sacs within the joint) can also cause intense knee pain. Depending on the cause and extenuating factors, the sufferer may feel a constant ache, burning sensation, or sharp, shooting pain. If you see a doctor about your knee pain, the recommended treatment could fall anywhere on the scale from applying ice to corticosteroid or hyaluronic acid injections, depending on the cause. Prescription opioids and NSAIDs (nonsteroidal anti-inflammatory drugs) can alleviate serious pain, but come with dangerous side effects, including the possibility of addiction or overdose. The use ofcannabis in the treatment of joint pain is nothing new – for centuries, folk remedies used the cannabis plant to address a vast range of ailments. When it comes to knee pain, cannabis can improve or alleviate two primary symptoms: pain and inflammation. Cannabinoids – the chemical compounds in cannabis that elicit beneficial effects – work by binding to neuro-receptors, specifically the CB1 and CB2 receptors in the body’s “endocannabinoid system”. This binding is possible because cannabinoids are sufficiently similar to naturally produced neurotransmitters (serotonin, dopamine, anandamide, for instance). A shortage of these transmitters can lead to increased sensation of pain, but when the plant cannabinoids replace these natural compounds in the endocannabinoid system, they carry out the same pain-relieving effect of the missing neurotransmitters. In a recent scientific study, a synthetic cannabinoid product was created which can activate the CB2 receptors in the body, resulting in less pain and inflammation caused by osteoarthritis and other, similar disorders responsible for knee pain. CB2 receptors are found in white blood cells, in places like the tonsils and spleen. Because, unlike CB1 receptors, CB2s are not found in the brain, a cannabinoid or synthetic look-alike that targets CB2 receptors will not have a psychoactive effect on the individual. This is an advantage for those looking to receive medicated relief without the “high” for which cannabis is famous. But individuals can receive the same non-psychoactive therapeutics benefits with true, plant-derived cannabis flower and products, a natural, and sometimes more accessible and affordable, alternative to synthetics. While cannabis strains high in the psychoactive cannabinoid THC will cause mild to moderate mental effects, strains with small amounts of THC, or equal amounts THC and CBD (a non-psychoactive cannabinoid) will have little to no effect on mental capacities, while still providing excellent pain relief. Using cannabis in addition to traditional pharmaceuticals enables individuals to cut back on their prescription medication, which drastically lowers their chances of adverse side effects, addiction, and overdose. Topical application of cannabis – through the use of salves, balms, and oils – is yet another way to directly treat to the source of pain without psychoactive effects. As the ointment is absorbed into the tissues and muscles it offers relief from both pain and inflammation, but because topicals don’t reach the bloodstream, the THC cannot be carried to the brain. Beyond relief of existing symptoms, there is some evidence that cannabis can protect and even repair sensitive nerves made raw by pain-causing conditions. Rather than the interaction of THC with CB2 receptors, this neurogenesis appears to be managed by bonds formed between CBD and CB1 receptors, indicating that when it comes to knee pain, use of both THC and CBD can be instrumental to relief and recovery. FARM offers a host of products perfectly suited to your individual experience with joint pain. Whether you prefer an analgesic flower to smoke or vaporize, or a topical to apply directly to the joint in question, the knowledgeable staff at FARM can connect you with the best product for your condition.